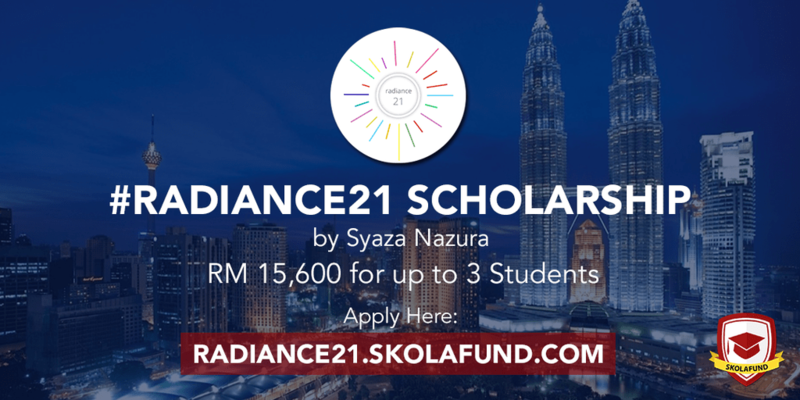 Nothing brings me greater pleasure (this is a lie, by the way, I have other things to be happy about but yeah let’s just go with it) than to announce that the #Radiance21 scholarship is LIVE LIVE LIVE on SkolaFund’s website at http://radiance21.skolafund.com. You can pretty much read the scholarship description on the website itself, but here are some clarifying details that might not be so obvious or that we’ve overlooked from the scholarship description itself. Yes, you must be a Malaysian student studying in an accredited Malaysian college/university. It is not for those who are pursuing their studies abroad. While it was not stated explicitly on the website (I’ll see if I can ask Syamil to add it to the scholarship description later), it is only for undergraduate students (early apologies for those who are pursuing postgraduate studies). Since the funds available is limited, we want to only offer it to undergraduate students in Malaysia. Your household income (your parents’ and anyone else working in your family) must be below RM6,000. If your family earns more than RM6,000 but your parents have to support your other siblings, I’m sorry, but we want to focus on those who are earning less than RM6,000. Recipients of other financial aids (either from the college/institution, PTPTN/MARA or any other scholarships) are also not eligible to apply. For obvious reasons, we want #Radiance21 scholarship to go to those in need and did not get the opportunity to receive any other financial aid. 2. How many students will be chosen? We want to award the #Radiance21 scholarship to up to three students. That being said, this can vary between 1-3, depending on the students’ needs and eligibility. We will review the applications and select a few for the final consideration. Depending on students’ need for the scholarship and their achievements, it can either be split evenly between three students, or be awarded solely to one student (not including all the other combinations, ie split unevenly between two or three students, etc). 3. What program / major / course do I need to be in to be eligible? Any. You can be in business or in nursing or in fishery, anything is fine. Submit your application through SkolaFund’s website. If you face any problems in accessing the website or throughout the application itself, do contact the SkolaFund team on their Twitter (@SkolaFund) or by emailing them, since they are are in charge of the website. Side note: As of today (11/19/2015 7:20am Chicago time), the application itself seems to be working well and you can start submitting your application. 5. For Part 4: The Interview on the application, how long should my answers be? What should I write about? There are three main questions on that page, namely: (i) Why are you in need of a scholarship, (ii) What are your aspirations, and (iii) If you could change one thing in this world, what would it be and why? The first two are the ones set by SkolaFund for all campaigns, therefore you are welcome to write as much or as little as you’d like. Please do be specific and most importantly, be honest in answering those questions. This scholarship is meant to help those who are really in need of a scholarship, so lying and trying to manipulate things would definitely not help. As for the last question, it is an additional requirement that I set myself, just to learn more about you. It doesn’t have to be a long response, a short statement of between 100-200 words would suffice (you are more than welcome to write longer if you want to). And for this one, I’d just like to learn about you and who you are as a person. For the “List your co-curricular experiences / education history”, feel free to either list them out in bullet points or in a paragraph, I don’t really mind. You can expand on each co-curricular activity if you want to, or you can just list down what clubs/activities you were involved in. 5. What if I want to submit my resume / additional information? If you want to send in additional materials to be considered for your scholarship application and you don’t see a suitable place to do so on the application itself, feel free to email it to us at radiance21[at]syazanazura[dot]com (replace the [at] and [dot] with proper symbols). So, yeah, this is it for now. 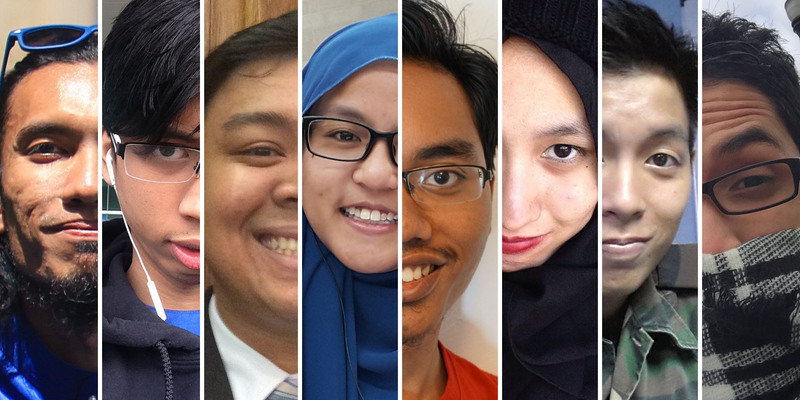 Feel free to read some background story on #Radiance21 at Aizan’s blog here. You could also read about how the funds for the scholarship was raised at a previous post here. Alright then, I better be off. I have two exams today, so I better get going. If you guys have any questions regarding #Radiance21 scholarship, just shoot us an email or send me a message on Facebook/Twitter, I’ll be sure to reply within 48 hours insyaAllah! Next post	Mind still on break.